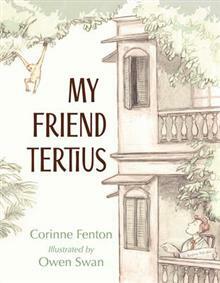 Corinne Fenton has a passion for picture books and is published in Australia and internationally. 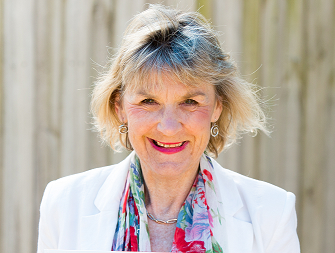 Her first picture book Queenie: One Elephant's Story was an Honour Book in the CBCA Awards, The Dog on the Tuckerbox was a CBCA Notable Book and shortlisted in the APA and ABIA Awards and Bob the Railway Dog was named a CBCA Notable Book in 2016. Little Dog and the Christmas Wish was shortlisted in the Crichton CBCA Awards in 2015 and had the honour of being chosen as the theme for the 2015 Myer Christmas Windows. One Christmas Eve was also chosen for the 2016 Myer Christmas Windows. Her idea of the perfect day is to sit with a new picture book text, searching for perfect words. 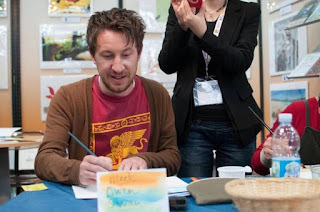 Owen Swan is the illustrator of several picture books including Anzac Biscuits by Phil Cummings, a CBCA Notable Book. He was born in Sydney and spent most of his childhood in country New South Wales and the Blue Mountains. As well as illustrating he likes travelling whenever and wherever possible, and occasionally bothering his neighbours with his banjo playing. A delightful and heartwarming picture book about a WWII code-breaker and his pet gibbon, from best-selling creators Corinne Fenton and Owen Swan. One question kept echoing in my mind - if I had to leave, what would I do with Tertius? This is the true story of two lives brought together by chance. Arthur Cooper, working in intelligence for the British Government in pre-war Hong Kong, rescues a small gibbon and names him Tertius. Together they escape to a safe place - but is it for always?